Some families separated at the border as part of the Trump administration’s crackdown on illegal immigration can only be made whole by returning a parent who was removed from the United States back to this country, the American Civil Liberties Union said in a court filing Thursday. ACLU national attorney Lee Gelernt said the federal government’s reunification plan does not address or resolve the right of removed parents to be reunited with their children in the United States. Gelernt — whose organization represents the plaintiffs in a class-action lawsuit — said the government’s reunification plan assumes that all removed class members who are reunited will be reunified in their country of origin. The plaintiffs expect that many parents who have been separated from their children for many months will seek rapid reunification in their country of origin, Gelernt said. 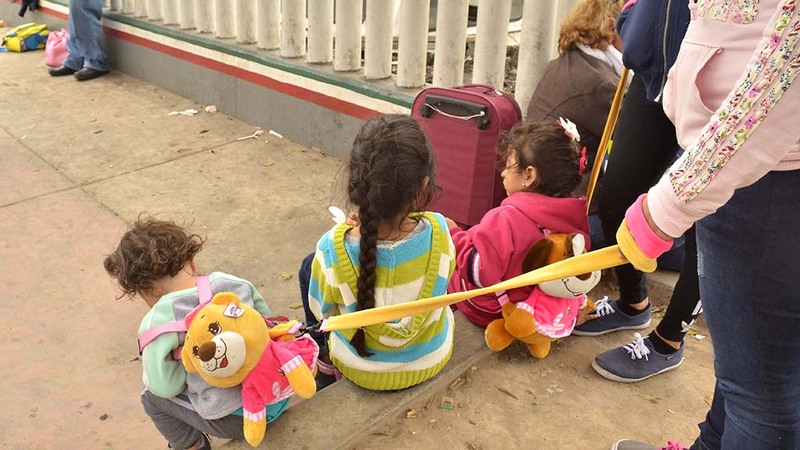 But in some cases, Gelernt said, removed parents may not have availed themselves of their right to seek asylum because they were misled or coerced into believing that asserting their asylum claim would delay or preclude reunification. In its court filing, the government urged U.S. District Judge Dana Sabraw to approve its reunification plan so the process can move forward immediately. Sabraw is expected to discuss the latest issues in the case during a telephonic conference on Friday.